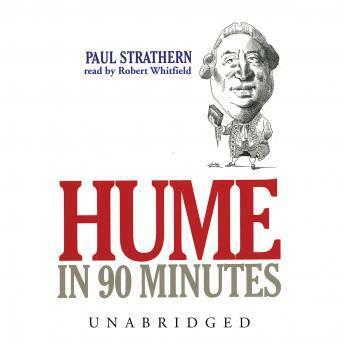 In Hume in 90 Minutes, Paul Strathern offers a concise, expert account of Hume's life and ideas and explains their influence on man's struggle to understand his existence in the world. This book contains a biography of Hume's life while only lightly touching on the content of his works. Well read and well written but not what I expected. This is the third "in 90 minutes" book I've listened to. This one, like the others, is well written and well read. However, they all emphasize the biography of the philosopher instead of an in depth summary of the ideas of the philosopher. If this is what you are looking for, the "in 90 minutes" series does a great job of it. If you want a solid summary of the philosopher's ideas, you may be disappointed. Good luck!